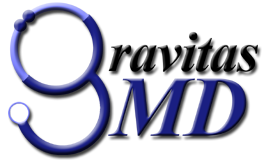 GravitasMD is a company that has been involved with the medical professional fields and claim processing for over a decade. We are a talented and motivated group that prides itself on our ability to adapt and overcome. We have seen the growing complexity that has evolved in the EHR/EMR and PMS areas and resolved to find a better way. A way that simplifies your work, complies with all the standards and doesn't become overly complex or difficult to use. We know we aren't everything for everyone. No one can be. GravitasMD is a better, simpler, and more intuitive way to manage your practice. 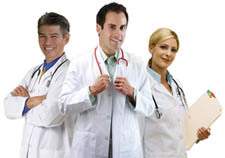 GravitasMD is fully committed to providing you with a single system that meets all your needs. Generate QSOs based on criteria defined by the sales team. Meet daily quotas for dials, conversations, talk time and QSO production. Nurture cooperative relationships with the GravitasMD sales team, especially helping to insure QSO show up for appointments. Support the inside sales force and assist in the closing process. Strong sales acumen and driven toward a career in sales. Strong PC and web based application user proficiency. Excellent understanding of a process-oriented sales management approach. Solution selling orientation with ability to consult with prospects. Daily goal orientation, able to drive toward achievement of person metrics. Comfortable working in a highly structured environment with intense training. Bachelor's degree in Business, Marketing, Technical Sales or related field preferred. 2-3 years experience in sales lead generation preferred. If you are motivated and would like to apply, please Contact Us. If you are a Health Care Professional and would like to work with GravitasMD, we would like to hear from you. 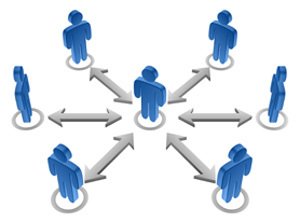 We offer our affiliates a truly remarkable package that benefits both us and the affiliate. Please Contact Us for more information about our Affiliate Program and how you can help us help Providers.